In my public journey with hydrocephalus over the past few years, I have talked a lot about how staying active and physically strong has benefitted me. When I’m asked about the people who are in the closest circle of my day-to-day care, I always list my strength coaches along with my medical team, because I have been blessed to work with incredibly passionate and talented individuals in this field – and they have absolutely made an impact on my ability to stay in the arena, and battle hydrocephalus every day. When I had to be re-shunted in 2012, my neurosurgeon challenged me to take charge of my overall health, which had declined over the few years leading up to that point. I had gained weight and become more and more sedentary due to the chronic pain, increased ICP, and just being generally discouraged. As soon as I had the shunt placed, we embarked on a plan to reclaim my health and strength. I first started to work with a personal trainer named Joe LoCascio, and began to slowly build my stamina. Focusing on overall strength and balance, we started to see results almost immediately. It was like my body was relieved that my brain finally had the help it needed. When we first started, I was so weak, still recovering from the shunt placement surgery, and had a very low tolerance for exercise. My balance was so terrible, which made any strenuous effort pretty dangerous, although it was comical at times! We made the best of it, and had some good laughs. 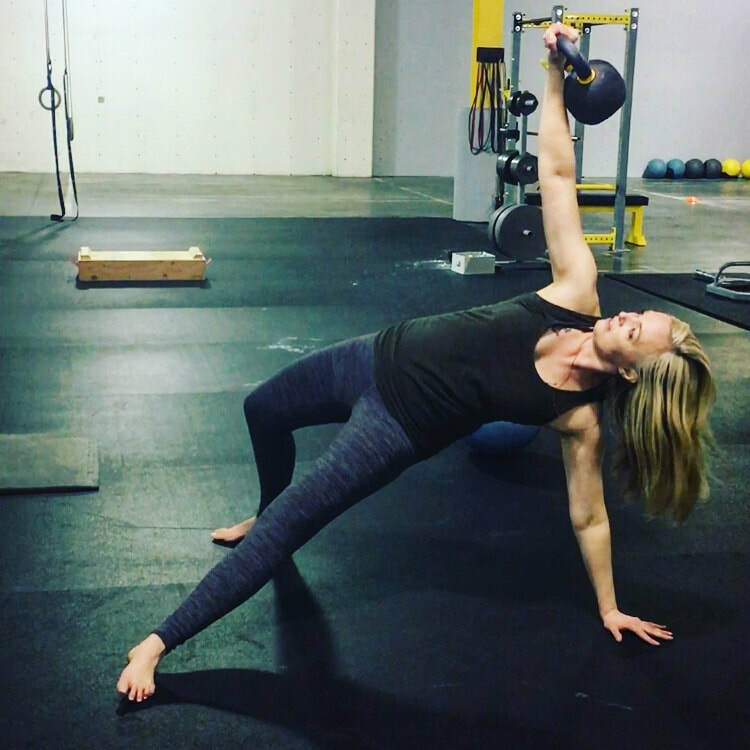 In the beginning, just holding a 5-pound dumb bell over my head with one hand would challenge my stability, and I’d start to fall. We did a lot of breathing work, and I learned to stand on one leg. Slowly we built stamina and skill, and eventually Joe convinced me that I would be best prepared for multiple surgeries if I could gain some strength that would carry me through future recoveries. He could not have been more correct. I was lucky enough to train with him for almost two years, before he moved to San Diego, California, but his knowledge and passion for helping me has stuck with me to this day, and I am forever grateful. Ever since 2012, I have been consistently active, and still focus primarily on strength training, as opposed to cardio exercise or endurance training. The exercise I do is based mostly on short bursts of effort - low reps, high weight. I rest and let my brain acclimate after each set. We have found that while the actual exercise can be very difficult, I often feel a reduction in pain an hour or two after this activity. One theory that my neurosurgeon has in regards to the exercise helping my pain level, is that the repeated exertion when I am lifting creates a quick spike in ICP, putting intense pressure on my ventricles, which would in turn cause the shunt to dump frequently throughout the period of the workout, relieving the pressure that had built over the course of the day. Of course, without actually doing an ICP monitoring and testing this theory, it’s hard to prove, but we do feel that this is consistent with how I feel on a regular basis. I currently work with Aron Cavette, a strength coach in Salem, Oregon. I am in the gym with Aron an average of four days a week, consistently. We are diligent about tracking my level of effort and output in the gym, and have found that it’s often was an easy way to see when my shunt is having issues. I also note my overall pain level before and after the workout, as well as how hard I feel that I’ve pushed myself. When we start to see a consistent decline in my effort, it often coincides with a spike in pain levels. If we see a trend over the course of a week or so, or anything out of the ordinary, we know it was time to contact my neurosurgeon. Since the surgeries haven't stopped or slowed down (see My Story page for my surgical history), we focus on my overall brute strength, and it's proven to be very beneficial in my ability to recovery from surgeries. As soon as I am cleared by my neurosurgeon, I'm back in the gym, and we start rebuilding. Feeling stronger is a huge priority to me, and I know that it helps me to mentally feel more prepared for the surgeries when they do come up. Just knowing that you are in good physical shape to handle the brutality of these operations and the recoveries that follow, is reason enough to stay as active as possible in the face of the challenges hydrocephalus brings.